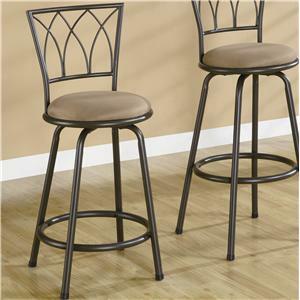 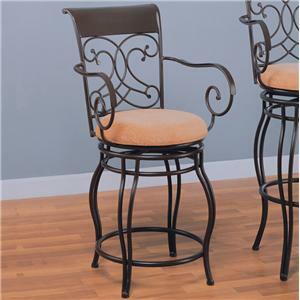 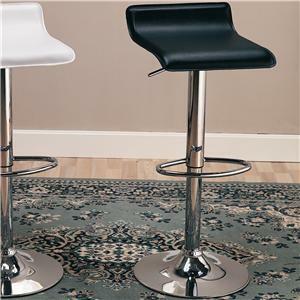 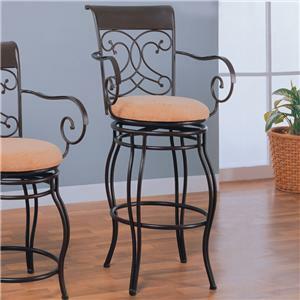 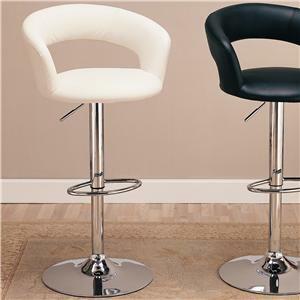 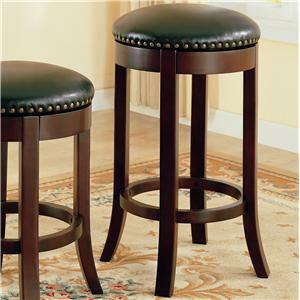 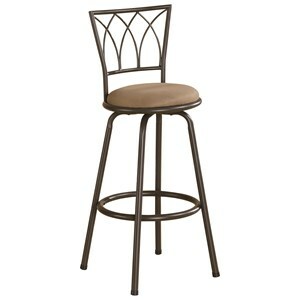 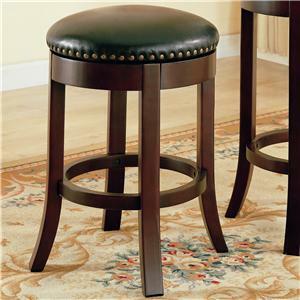 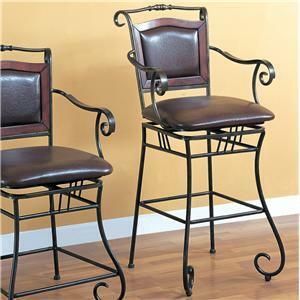 This lovely black metal bar stool offers a distinctive chair back with gentle arches, and a soft round brown microfiber fabric seat for a touch of comfort. 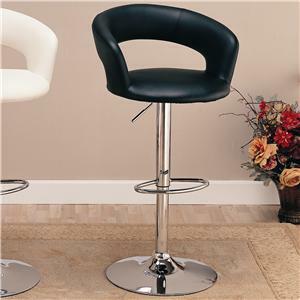 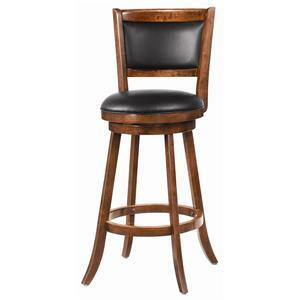 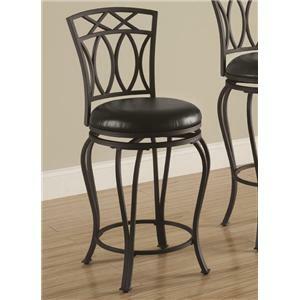 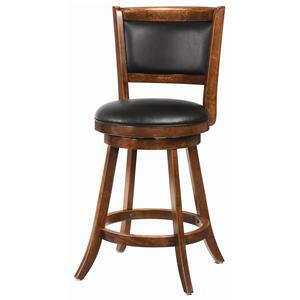 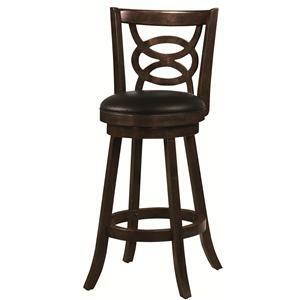 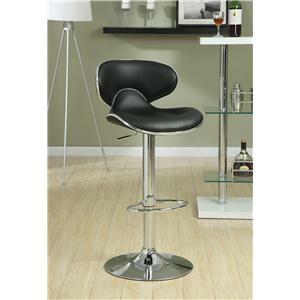 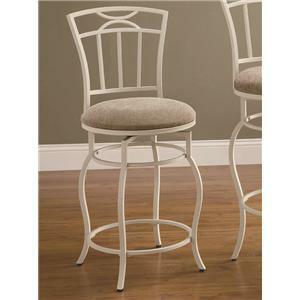 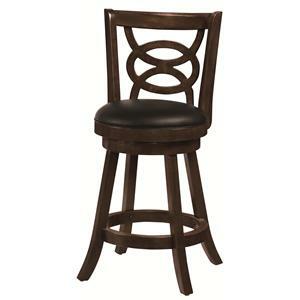 This bar stool will blend easily with your home decor. 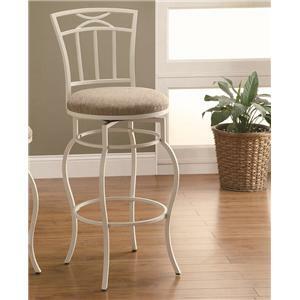 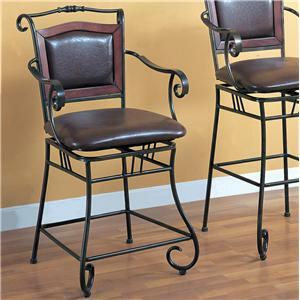 Simple tube metal legs and a round footrest are the perfect finishing touches on this stylish 29 inch bar height chair. 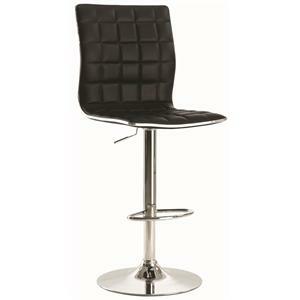 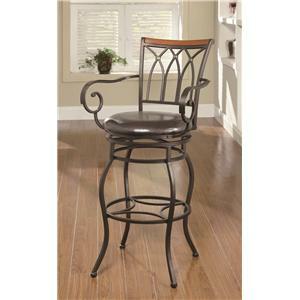 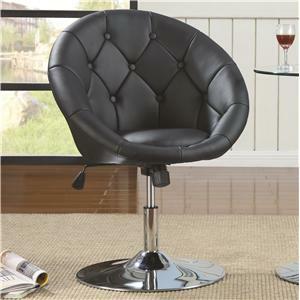 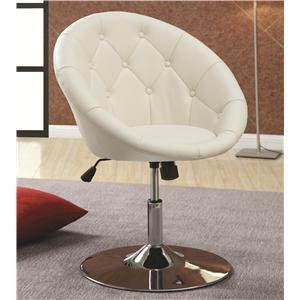 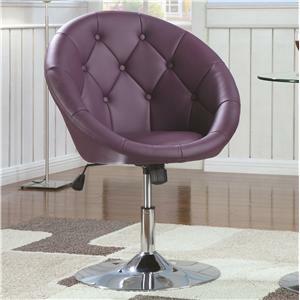 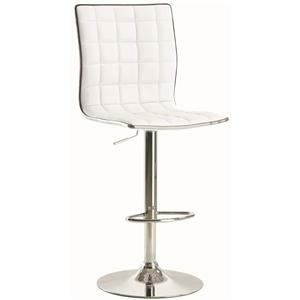 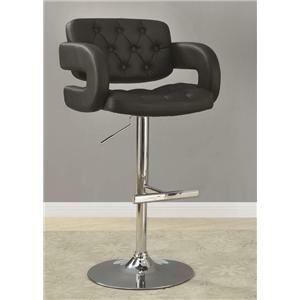 This chair is also available in a 24 inch counter height to meet your needs. 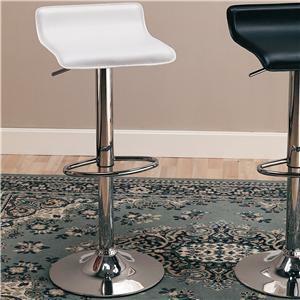 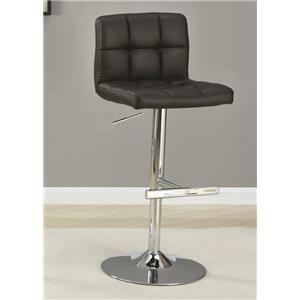 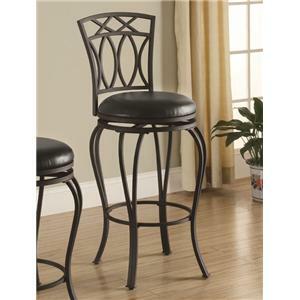 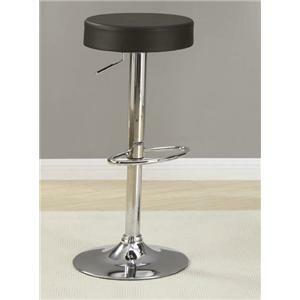 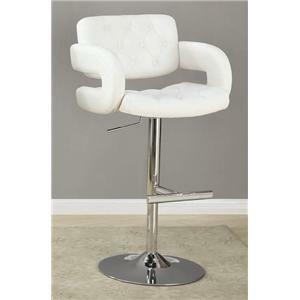 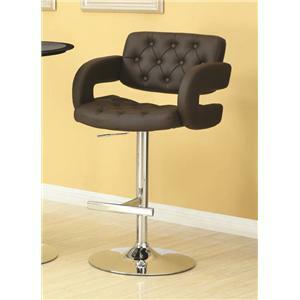 The Dining Chairs and Bar Stools 29" Metal Bar Stool with Upholstered Seat by Coaster is available in the area from FMG - Local Home Furnishing.